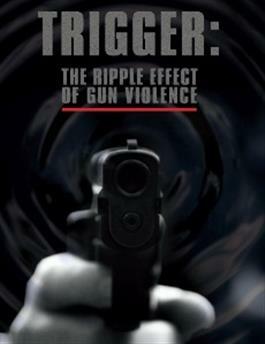 Trigger: The Ripple Effect of Gun Violence is a documentary that frames gun violence as a Disaster and Public Health issue by taking an in depth look at how one shooting impacts individuals, families and communities, while also giving voice to the questions and insights that arise from these conversations. In the documentary, all those scarred by gun violence eventually arrived at the same question: "Why...Why did this happen to us?" After looking at these in depth experiences of gun violence "Trigger turns its attention to the bigger question: "What can we do to prevent gun violence?"